The Diplomat’s Jonathan DeHart spoke with Sanjay Kumar, our New Delhi-based correspondent, about the radical changes taking place among South Asian youth, and what they mean for the region’s future. 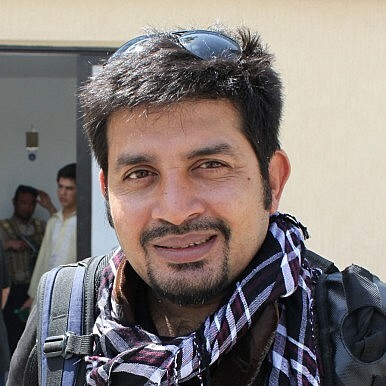 You recently wrote a series of articles during a trip to Afghanistan. How would you describe the atmosphere in the country today compared with your own past trips, and what were a few examples of things you noticed had changed? The first time I visited Kabul was in 2008, just a few months before the presidential elections in 2009. It was a crucial transitional phase for the war-torn nation. There was an air of expectancy, people were hoping for better days. The predominant discourse was about how to move forward after the elections. During that trip, I met many young men and women working for the government and involved in managing elections. It was their first exposure to any kind of democratic process. It was a novel experience to see young Afghan journalists, both male and female, take a keen interest in covering every detail of the electoral process. Many prejudices were dispelled in my interactions with women working as camera operators for local television stations who had come to cover press conferences. You could sense their determination to redefine their own boundaries. Five years later, the discourse has changed. Afghanistan expects new elections early next year, but the air of expectancy has given way to an air of uncertainty. On the surface life looks quite normal, but underneath that there is a great deal of concern about the future. What will happen when international troops leave the country? Many Afghans who have been victims of history fear the worst. But a sizable number of the nation’s youth believe that the country will not fall back to its pre-2001 days. They emphasize that the new generation does not want war. They prefer progress and will not allow the ethnic divide to come in the way of protecting national interests. Alongside these changes in outlook, there have also been major outward changes. Kabul is changing very fast. Physical infrastructure has expanded remarkably over the past few years. There are now supermarkets and fashionable restaurants that cater to the young and rich classes. Educational institutes have opened around the city aimed at young people with the urge to educate themselves and tap emerging opportunities. Yet, the boom is limited. With 2014 approaching many foreign offices in posh areas like Wazir Akbar Khan have closed. This has brought down real estate prices in the area. A house that rented for U.S. $3,000 US per month in 2009-2010 is now available for less than half that price. Property dealers in Kabul have long lists of names of people who want to sell their houses and move abroad before 2014. It is rumored that the majority of the ministers and parliamentarians of the Karzai government have already shifted their families to safe locations outside the country and have applied for asylum abroad. While in Kabul, you saw a concert put on by Afghanistan’s first rock band, Kabul Dreams, where you met many young people. Based on your conversations with them, do you think the democratic attitudes and open-mindedness that have taken root among the nation’s youth will remain in the longer term? Contrary to the prevailing image of looming uncertainty in Afghanistan, the new generation suggests a more permanent change in mood. They give the impression that the landlocked country cannot fall back to the old ways. Sulyman Qardash, leader of the Kabul Dreams, very strongly asserts this view. He says that those who portend dark days ahead for Afghanistan are blind to the changing reality of the country. I also interacted with a group of young female cyclists in Kabul who want to make a career out of biking. Aided by some foreign professional cyclists these women are quite assertive about pursuing their dream. They are not worried about the future. They just want to redefine their territory. Another young guy in his early twenties, Bakhtawar, is a complete bohemian. A budding poet and writer, he has a small group of like-minded friends, both male and female, who gather frequently to share their creative output. They are as cool as any writers’ club in the Western world. Their works do not carry an inkling of pessimism about the future, but a robust optimism about the fate of the nation. I also spoke with Joya Bahar, a BBC journalist working with its Dari service. Joya is a very dynamic woman working in male-dominated Afghanistan. She uses the medium of journalism to create awareness about the plight of women in Afghan society. She faces threats from fundamentalist forces, but strongly believes that the time has come to be assertive. The same zeal drives Heleena Kakar, who runs the first feminist newsweekly, Rudiyard Weekly, which aims to create awareness among young women about their rights and role in society. As an outsider, I am amazed at the motivation of young Afghans. This is the story not only in Kabul, but also in other places, like Herat, Mazar and Kunduz. Compared with the youth you met in Afghanistan, how would you describe the political leanings and social outlook of Indian youth today? It really is an eye opener to interact with the educated young brigade in Afghanistan. They are liberal, open to new ideas. They are very critical of the prevailing political corruption and ethnic politics in their country and want to see the end of old inter-tribal rivalries and see their country emerge as a modern nation. Interestingly, some of them I have met prefer a country where religion does not play a role in politics. They are secular in belief and liberal in thought. By contrast, young Indians, as a byproduct of neo-liberal economic policies, tend to be conservative politically. They have personal aspirations, but are rightist in their political preferences. This is especially true among urban youth. Their idea of India is not politically inclusive of all sections of society, but is focused on unbridled economic growth without taking into consideration those at the margins. The rise of Hindutva leader Narendra Modi, known for his liberal economic policies and Hindu-majority agenda, demonstrates the political inclination of many among young Indians today. This might be also due to the disenchantment with the present ruling alliance in New Delhi. For me, Afghan youth are more liberal in their political beliefs and more progressive in their secular ideals. More broadly, do you see a gradual shift among youth in other South Asian nations that could change the social and political climates not only in Afghanistan and India, but elsewhere too? Youth are at the axis of the region’s economies and politics now. In the recent elections in Pakistan the majority of the political parties were trying to woo young people. In Pakistan, Imran Khan and Nawaz Sharif were appealing to the youth who were lapping up the promises of a better life, economic prosperity and a more inclusive society. According to the Express Tribune, nearly half of Pakistan’s 84 million registered voters (47.8 percent) are between the ages of 18 and 35. In India, more than 60 percent of its population is below 35. Naturally, they will decide the political direction and thinking of society. This overwhelming segment of the population is more open-minded, forward looking. They want to see their country in the league of developed nations, not only in terms of economic development but also in social advancement. Bangladesh also has a youth bulge that has been at the forefront of recent political movements seeking to weed out religious fundamentalism in the country and assert a secular ethos for the nation. Bangladeshi youth are conscious of their history and know the consequences of deviating from the path of secularism and religious tolerance, which was the nation’s war cry when it separated from Pakistan in 1971. Today, Bangladesh is one of the only Islamic countries where the young generation is taking to the streets to save the nation from the clutches of fundamentalist forces. Policymakers are responding to this new urge. Pakistani youth realize the importance of closer ties with India. This desire is reflected in the political manifestos of all political parties – a remarkable change from the time when Kashmir and India used to be one of the main issues in Pakistan’s political campaigns. India’s new generation has not been as responsive to the normalization of ties with the nation’s western neighbor, however, instead aspiring to see India focus its attention away from Pakistan. I would even suggest that Iran, a close neighbor and important partner of the Indian subcontinent, is not entirely immune from the changes either.